We’re a compassionate and trusted home care agency, dedicated to serving the local community. We provide quality home care that brings more independence and vibrancy to the elderly, chronically ill, and adults living with disabilities. Together, we increase our clients’ capacity for self sufficiency by providing supportive home health services and assisted living, building on strengths and enhancing life skills. 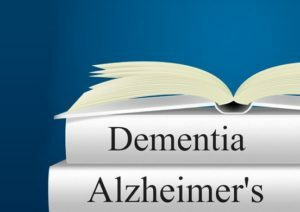 According to the Alzheimer’s Association, there are over 5 million Americans with the disease, and it’s the 6th leading cause of death. Let our team of Alzheimer’s care experts relieve some of the stress and difficulty of the disease, and provide family members with respite care. The HealthyCity Lifestyle Program is a specially tailored diet, exercise and medication compliance plan to help improve overall health outcomes. 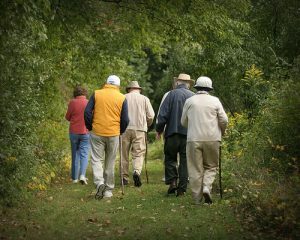 CityCARE Home Health has developed the HealthyCity program to help seniors lead healthier and more fulfilled lives. We offer quality home care assistance on a flexible basis. For many seniors, a few hours a day of assistance may be sufficient to live comfortably in their homes. Respite care provides family caregivers temporary rest, while maintaining reliable care for loved ones. Live-in care is a good alternative to a nursing home or an assisted living facility. We provide professional live-in caregivers that work on your terms in your home. Live-in care allows your loved one to retain independence and is a cost effective solution for many families. We provide a full team of home care professionals in addition to your dedicated caregiver. You can have peace of mind knowing we employ thoroughly screened, professional caregivers. Caregivers are vetted via national background checks and are fully bonded and insured. Locally owned and operated in CT, our goal is to provide quality home care assistance for seniors and disabled adults. A complimentary home care assessment is conducted for each client. We match you with a caregiver that has the skills for your individual needs and situation. 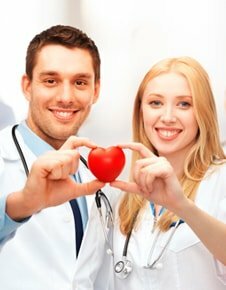 Why choose CityCARE Home Health for your home care needs in CT? CityCARE Home Health in CT manages your caregiver so that you don’t have to. We employ Certified Nursing Assistants (CNAs), home health aides, homemakers and companions who are fully bonded and insured for your protection and peace of mind. We ensure that you and your loved one are 100% protected. Via our home care agency’s proprietary CARELink Caregiver Matching System, our screening process and dedication to being the best home health care agency in Connecticut, we strive to hire only the most compassionate, reliable, and quality home health aides, Certified Nursing Assistants (CNAs), homemakers and companions. 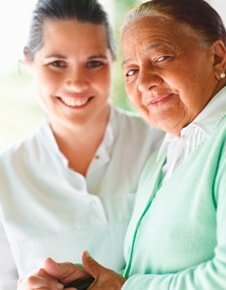 We provide and specialize in various home care services in CT. We have specifically trained caregivers, who are experienced in Alzheimer’s and dementia care, stroke care, other condition-specific care and hospital rehabilitation. 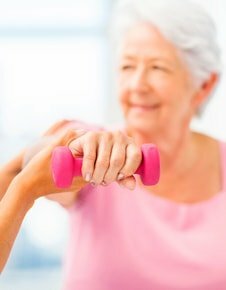 Our HealthyCity Lifestyle Program provides many benefits not available with other home care agencies in CT.
As a Connecticut home care agency we work with different people, budgets, and circumstances. 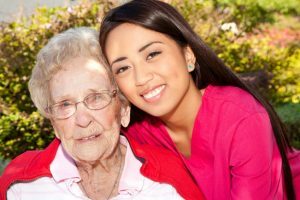 We take pride in providing quality Connecticut home care assistance while adjusting to clients’ elderly care, disability, respite care and rehabilitation needs. Whether you’re looking for short-term respite care or a longer term solution for your aging loved ones, we’ve got you covered! From just a few hours a day to 24 hour live-in care, CityCARE Home Health in CT can customize a home care plan for your specific in-home assisted living needs. Allowing our home care agency and professional caregivers into your home in CT, means we are available for you 24/7. With a tailored home care plan and consistent follow-up with you or your loved ones regarding health status and plan progress, we make assisted living easy. We strive to hire only the best and most compassionate home caregivers to assist you or your loved ones, in the comfort of home. Our home caregivers are highly trained, motivated individuals, with expertise in a multitude of home care situations. Due to our extended roster you always know you’re covered, regardless of circumstance. We always have a quality home caregiver available, including holidays, weekends, and emergencies. Our home care agency assigns a dedicated Home Health CARE Team to each individual, which includes a Home CARE Case Manager. The Case Manager continuously schedules home health care assessments with nurses, family members and your full CARE Team. With an evolving home care plan to fit client needs and consistent monitoring of health conditions, our home care agency in CT achieves less hospitalizations and better overall health outcomes. CityCARE Home Health is a home care agency in CT that is dedicated to providing assisted living to its clients, in the comfort of their own homes. We care deeply about the elderly community and believe that it is our responsibility to provide Connecticut with quality home health and respite care. Our home health aides, Certified Nursing Assistants (CNAs), homemakers and companion all share our core values and deliver home care services with compassion, dedication and kindness to our clients in CT. We are truly proud of the work we do every day!